We find Genetic Communities by looking at a network of DNA connections we build using millions of AncestryDNA members in our database. 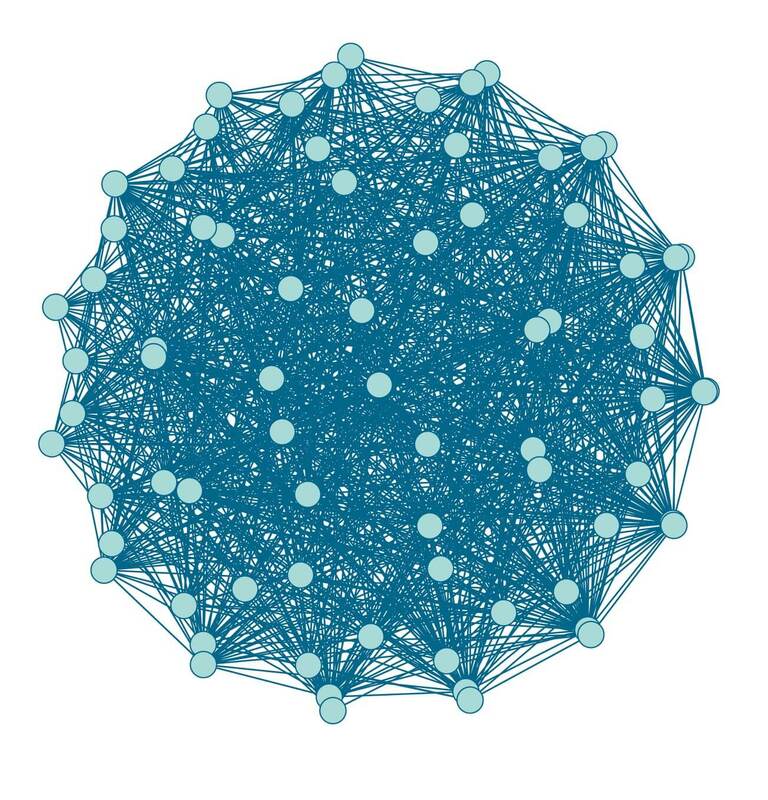 For a simplified example, here’s a small network of 25 individuals. In this figure, A’s DNA matches are B, C, D, E, F, G, and H. Each of A’s matches also have other individuals they are connected to in the network. When we build a network like this using millions of AncestryDNA members with billions of DNA relationships between them, we find groups of people in the network that have more DNA matches to each other than to people in other parts of the network. We call these groups Genetic Communities. 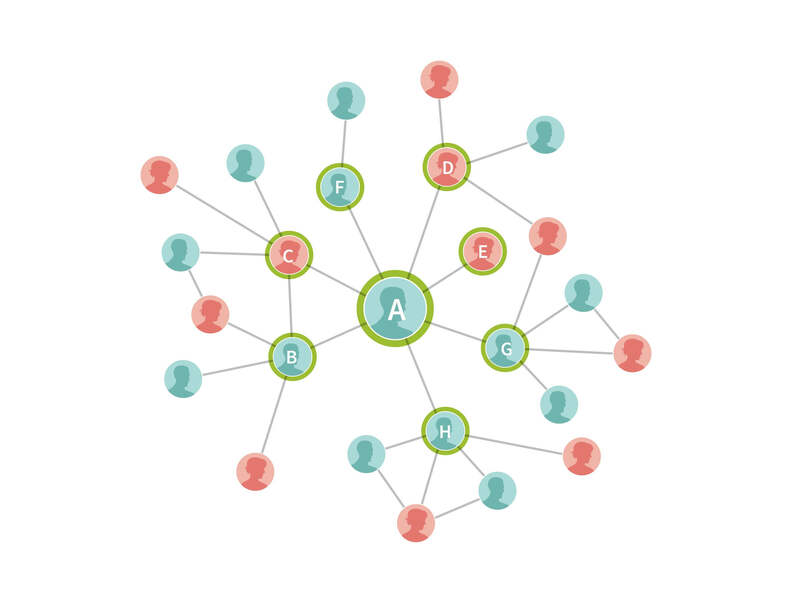 We use a popular network analysis method called community detection to discover them. The figures below show two examples of the same large network made up of AncestryDNA members. The colored circles represent AncestryDNA members, and the lines are DNA matches between them. In the first, no significant groups are evident. 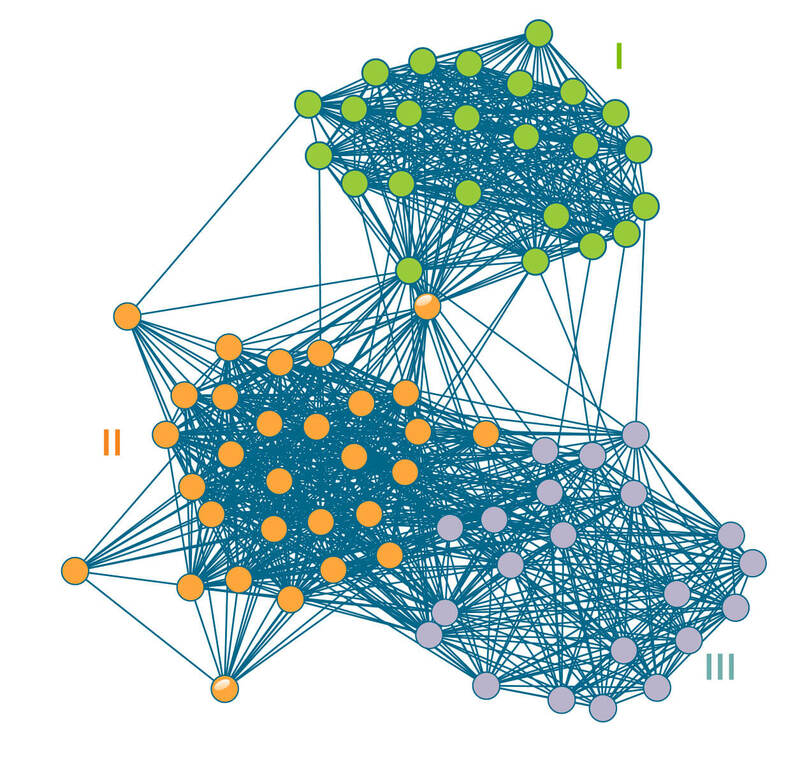 However, after running community detection on the same network, three distinct Genetic Communities emerge (I, II, and III). When we discover Genetic Communities, we use information from family trees AncestryDNA members have linked to their test results to learn about the historical forces that may have brought their ancestors together. (Learn more about how we discover the story behind Genetic Communities).